With images and videos of former F1 racer, Tarso Marques’ flat-six aeroplane engined, custom chopper build doing the rounds on social media, MCN thought we’d put together a list of other bikes which shunned standard engine formats. Ranging from shed-builds to obscure production models through to mainstream manufacturers, the one thing they have in common is a power unit that makes you pay attention. The Dumont is a custom build from Brazilian former F1 driver, Tarso Marques which is driven by an enormous flat-six Rolls-Royce Continental aeroplane engine and boasts some of the most bizarre styling we’ve ever seen. The huge wheels are designed without hubs or spokes, leaving the rims completely empty. 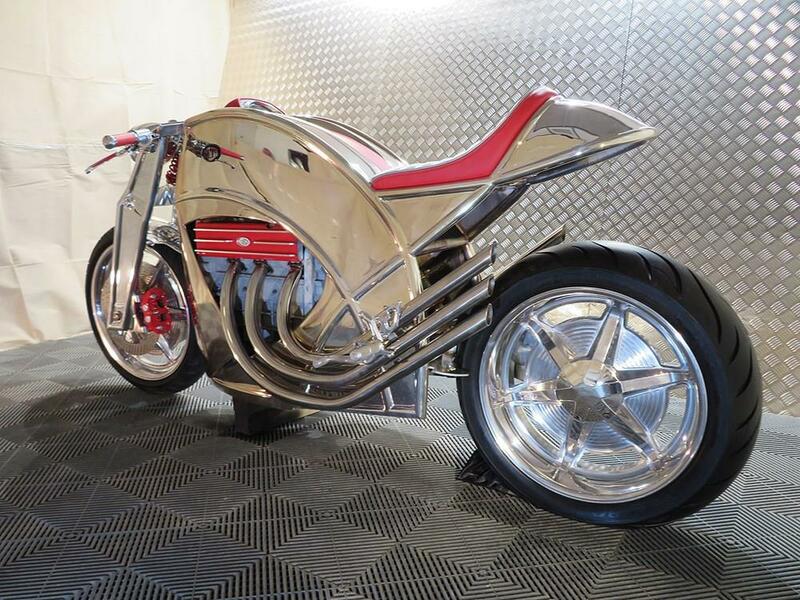 The Dumont really pushes the boundaries of what a motorbike can look like. The brainchild of Australian ex-MotoGP and WSB mechanic, Paul Maloney, the PGM V8 looks like a fairly normal (if a little rotund) streetfighter, but nestled in the frame is a 2000cc V8 motor which makes 334bhp. 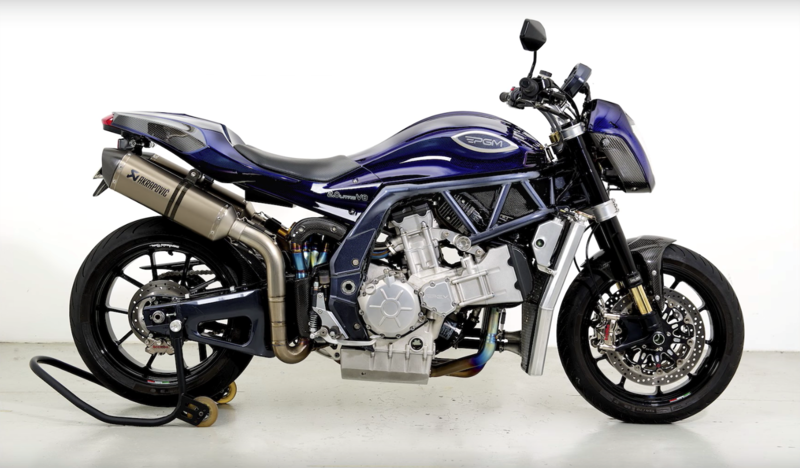 The engine is made by bolting two Yamaha YZF-R1 engines together, and the result is a road-legal bike that pulls like a traction engine. The brainchild of pioneering automotive engineers, Phil Bevan and Steve Kirk, the new Levis café racer will feature a 1200cc V6 engine and more bling than you can shake a stick at. The unusual 22-degree engine’s 1-2-3-4-5-6 firing order will make it sound like three Harley-Davidsons firing at once and the distinctive looks should draw plenty of attention. 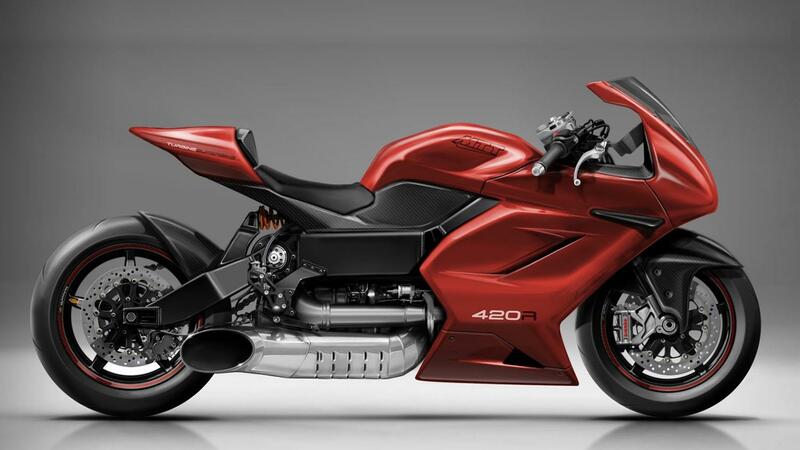 MTT decided that the 320bhp Y2K bike they produced in 2000 wasn’t mad enough, so in 2017 they announced a new 420bhp version which produces a mind-blowing 600ftlb of torque. 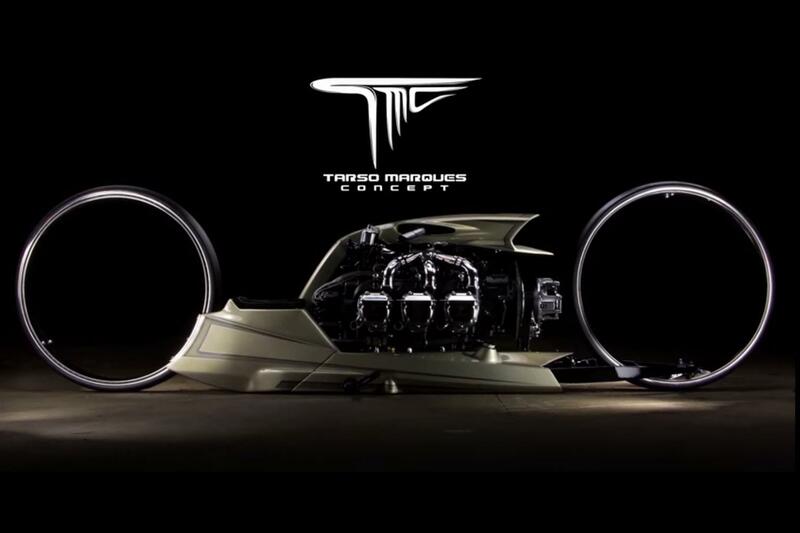 The bike is driven by mechanical force at the rear wheel rather than jet propulsion from the Rolls Royce Allison 250-C20B engine, but it sounds every bit the part. 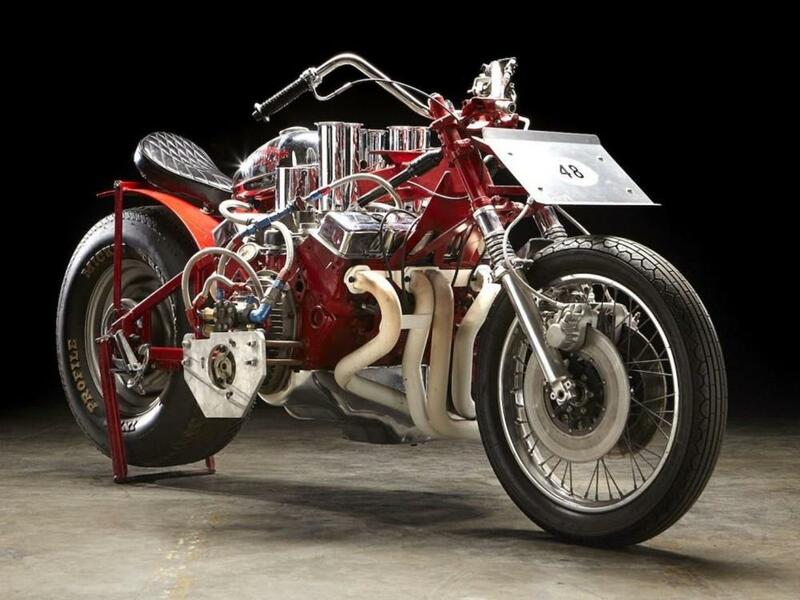 Confirmed as the fastest bike in the world by the 1973 Guinness Book of Records, the Widowmaker was conceived and built by “Michigan Madman” E. J. Potter. Using the famous small-block Chevy V8 engine mounted across the frame, the Widowmaker propelled Potter to a kind of fame around the drag strips of America. Find something a little more standard at MCN Bikes for Sale.